Select the best software package for your company! The VDA 4994 GTL Label Standard follows the VDA 4902 Label Standard since 2016. Most information on the VDA 4994 GTL label is encoded in a 2D barcode (DataMatrix ECC200 code). The globally unique pallet number is also included as Code 128 barcode. 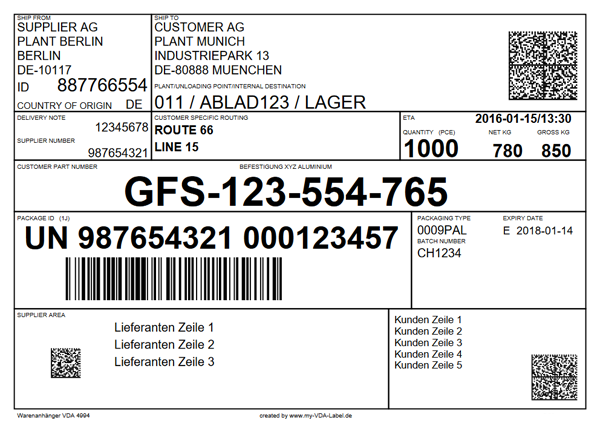 The great advantage of the VDA 4994 GTL label is that all information of the label can be read with one scan process due to the DataMatrix code.